Optometrist in Vancouver | See for Life- Dr. Mini Randhawa, developmental, childrens' optometrist: Is your child at risk for a vision disorder? Take this interactive quiz to find out. Is your child at risk for a vision disorder? Take this interactive quiz to find out. 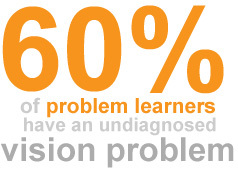 Organizations devoted to eye care estimate that one in five children has a vision disorder. This can be something relatively simple like nearsightedness or farsightedness that can be corrected with eyeglasses. However, more complicated disorders are also a possibility such as strabismus, amblyopia, convergence insufficiency, binocular vision problems, lack of depth perception and the list goes on. To help you assess your child's risk, take the quiz at the bottom of this post. It is critical that parents take their child's eye health and vision seriously. I remember one kindergarten student who came in for her first eye exam. Her vision was bad enough that she had never seen her mother's face before! For her, the world was a collection of blurry blobs and because she had always seen that way, she assumed that it was normal. The only way to really know if your child has a vision problem is to take the child to see an optometrist. For more information on vision and eye care for children, click here.